I wrote about Facebook and their unfair policy some weeks ago, and I'm getting back to this apparently hot topic today. It has become apparent that Facebook doesn't want to give book authors, artists, business owners, etc, any free visibility. Until literally a few weeks ago, by simply posting content (like this blog post, for instance) on my author page and sharing it on my timeline, I could count on reaching a few hundred people. Today I'm lucky if I reach fifty. At the same time, I keep getting more and more aggressive marketing messages from Facebook itself, urging me to boost posts - for money, of course, and it's getting more and more expensive, too. Big businesses and big publishers can afford to pay, but most indie authors can't, not on a regular basis. Bottom line: the value of Facebook as a social media platform for the indie writer is shrinking. I'm not saying it's gone. I still enjoy participating in group discussions and catching up with friends on my newsfeed (though it had become muddled as well), but it's more difficult to get exposure for our books through Facebook these days. 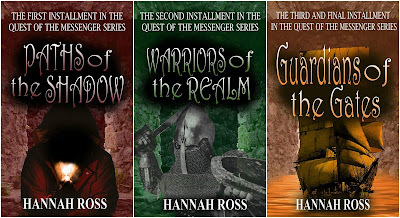 * I have started using Twitter (@hannahrossbooks), and though for a long, long time I have said that "this isn't for me" and "it's too superficial" I'm enjoying it more than I thought I would, and the #hashtag feature allows me to reach a wider audience. * Goodreads is a huge platform for writers and readers, with many useful and interesting groups. Goodreads reviews are a fantastic way to increase both your visibility and your credibility. * Wattpad, while cluttered with a lot of junky writing from 13-year-old fangirls, is still a great place to receive feedback on your work, gain readers and followers, and meet fellow authors in the forums. * Your independent platform - your website or blog - is a place no one can take away from you, and you can also connect with other bloggers for interviews, reviews and spotlights. * If you haven't started a mailing list yet, now is a good time to begin. Warning: don't be spammy and don't abuse your list with frequent hard sales emails, because people will unsubscribe. Add some value to your newsletter, other than "buy my book", like a freebie, a discount coupon, or some useful information. There are also Instagram, Pinterest, YouTube, podcasting, and more, but one cannot do everything. Consistency is the key here. There's no point starting a blog if you only write a post once in a few months, or open a Twitter account if you don't log in for weeks. So pick a few channels that suit you and go along with them on a regular basis. And remember: social media isn't about fast sales, it's about slowly building a presence and a following that will be massively useful in the long run. Every author who isn't backed either by Big Pub or by a huge following knows how difficult it is to stand out. Getting your book noticed is like trying to get a gasp of oxygen in a very tight crowd, and authors may resort to elbowing, using six-feet crutches, or wearing glittery clown costumes in order to grab a reader's attention for five milliseconds. Isn't it discouraging, then, to think that the majority of people who start on your book won't even finish it? It's a sobering thought, but that's what happens according to this post by Creativity Hacker. I can't vouch for the exact numbers, but I do know that many readers who crack a book open don't get to its end. This happens increasingly often in a world where attention spans are short and the selection of new books virtually limitless. So what can we do, as authors, to maximize reader engagement and optimize our chances of them getting through the book - and, hopefully, liking it and recommending it to others? We have all learned the big things. We know we need a strong plot, engaging characters, consistent and appropriate pacing, and some sort of hook in the very beginning. We do our best, writing and rewriting and sending the manuscript out to beta readers. "Dear author, I loved the premise of your book. The plot and characters were well executed. I'm sorry to say, however, that all through the book I noticed missing commas (along the pattern of 'Let's go George', instead of 'Let's go, George', missing brackets, inconsistent capitals ('Stock Corporation', 'Stock corporation' and 'stock Corporation' all used at random). Plus, a minor character suddenly changed her name from Wendy to Mandy about halfway through the book. All of this hurts the eye and is extremely off-putting. I offer this feedback in good friendship and wish you every success, because I think you are really talented and deserve to be noticed. It's a pity to have a good book fail because of little things that can be easily corrected." I am glad to say most authors write back and thank me, then go on to polish and update the book file. Some have engaged me as a proofreader. Others, however, either don't respond or get defensive, saying things like "you can never catch every error" and "most readers aren't that picky." Well, I can tell you I am that picky. If those hadn't been books I have committed to review, I would have quit. It's true that the perfect is the enemy of the good, and you can't and shouldn't spend your nights tossing from side to side, wondering if maybe a single comma in your manuscript had been missed. I have noticed inconsistencies and mistakes in many popular and well-known books. In my copy of Harry Potter and the Chamber of Secrets, Voldemort is referred to as "Slytherin's last remaining ancestor", when it should obviously be not ancestor, but descendant. In Far From the Madding Crowd by Thomas Hardy, the age gap between Gabriel and Bathsheba is stated to be six years at one point, and eight years in another. I've checked and double checked, and the error really exists - and Thomas Hardy's books are classics that have been printed and reprinted for many years, so the edition I have surely isn't the first! If readers have forgiven J.K. Rowling and Thomas Hardy, they will forgive you a single slip or a few missing brackets. But a discerning reader won't gloss over consistent and unabated sloppiness in the text. Don't lose a reader to lack of a thorough proofread - you have poured time, sweat and blood into your book, and you deserve the best chance you can get. Pay attention to the little things, because they do matter. Is it more profitable to write in a series? Check out this great post by Joanna Penn on how writing book series can be more profitable and easier to market. "It's also easier to market a series of books, because you can use the first book in the series, for example, as a permanently free or doing free promotions on that first one, over time. You can then get people into the series and then, hopefully, they will carry on." I've been implementing some of these tactics for a long time now. 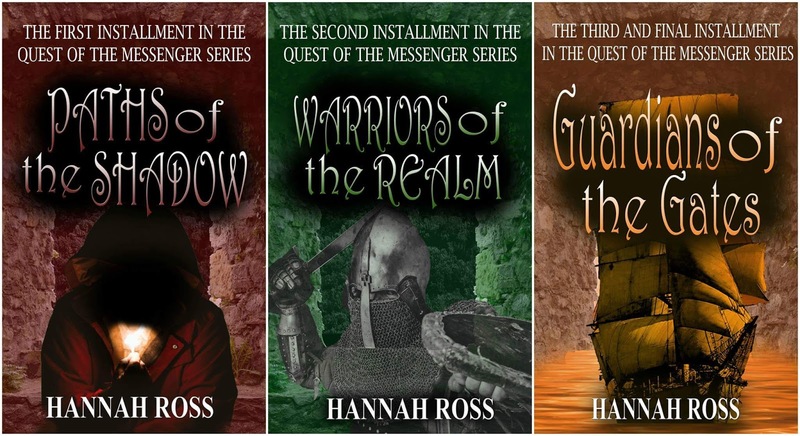 With my fantasy trilogy, Quest of the Messenger, I focus on running promos and free days for the first book, Paths of the Shadow, in order to funnel readers into subsequent books. My publisher and I are planning to do something similar once the sequels to Wild Children come out. It definitely has its advantages. Another option is to write not series, but standalones that all play along the same lines, like many authors of crime fiction/thrillers do. You say, "Dan Brown", "Harlan Coben", "Stephen King", you know pretty much what you are going to get. Having said that, if I had to brand-name myself, it would probably be something like "the eclectic author who likes to travel over different places and times in her books". Apart from high fantasy, I write sci-fi and historical fiction in settings as diverse as the Viking era, Regency era England, and medieval Ethiopia. I need this variety like oxygen, otherwise I would probably wilt and die as an author, but it comes with a price - often, the readership for one book will hardly overlap with the readership for another. What's good for creativity is not necessarily so great for marketing. By the way, several of my stand-alone novels can potentially turn into a series, but it would still be series in very different genres. The best series, in my opinion, have an arc - that is, the author plans not just the next book, but the whole series globally, from start to finish, like J.K. Rowling did with Harry Potter. Even before she began writing the first book, she knew there would be seven books, and knew more or less how they would be outlined. There are few things more pitiful than a good trilogy that slowly sputters out as a series of ten books, because the author is afraid to abandon this sure source of income and to move on to uncharted waters. Don't do that; don't write another book in the same world just because you are expected to. Don't be afraid to try your hand at something new. I know some authors who are lucky enough to be able to complete their first draft in a stroke of inspiration, and flick it over to a skilled editor who will take care of any plot inconsistencies, style issues, punctuation and grammar. This is terrific for authors with some budget who are focused on producing a high volume in a short time, but most of us are not so lucky, and will revise our own manuscripts multiple times (likely until we are sick of them). Don't be in a hurry to feel yourself at a disadvantage, though. Reading through, improving, and correcting your own work will get you in touch with it in ways that no editor can. Creative ideas that spring into your head upon re-reading and re-writing are something nobody but you can have. Plus, many authors just don't have the budget to pay for a deep structural edit. Editing is one of the most expensive parts of producing a book, and for good reason, when you consider how many work hours go into an average-length novel. For some of us, the expense will be a lot more reasonable if we can polish our manuscript to a state when it needs nothing more than a thorough proofread. For years, I have scoffed at the whole process of editing, and looked at that first unpolished draft as the only bit of "real creativity" in writing. However, I have wizened up since, and realized that nobody will beat my manuscripts into decent shape for me, and that if I only write first drafts, I will never end up with a publishable book. 1. Step away. This is absolutely essential, but also very, very hard to do when you have a book you are excited about, and long to get out into the world. Some time of cooling down, however, is a must for you to look at your work with a balanced eye. Ideally, it should be long enough for you to distance yourself from your book until you can almost feel someone else had written it. 2. Be merciless. Or, as a popular saying goes, kill your darlings. Don't let an elephant stay in a china shop just because you really, really like elephants. This is a lot easier to do after a period of cooling down when you are not so emotionally attached to every aspect of your book. 3. Brush up on grammar. This belongs more to the final polishing stage of the manuscript, but is a must. Misplaced or missing commas, capitals where they don't belong, short/long dashes at random, etc, are all issues that need to be addressed, otherwise the reader is left with an impression of sloppy, unprofessional work. For me, personally, it is incredibly off-putting. So don't gloss over the nitty-gritty, saying "my work is so great, no one will care." Caveat: there are some wonderful authors out there with learning disabilities. It is entirely possible to have a great story to tell, but not be able to get to grips with punctuation and spelling. In that case, you absolutely must get a proofreader/line editor, either through paying or through swapping services. I am able to take on a couple of manuscripts a month, though lately I have had to turn down some work due to lack of time - you can contact me for more details. Look around and try to get recommendations - there are plenty of capable people out there who will be glad to help you out with your manuscript for a reasonable fee. "Scott "Buck" Buckley, an environmental scientist, accepts the position of general overseer at the McMurdo Antarctic research station. After signing a secrecy declaration, Scott becomes privy to the existence of Geyser Valley, an area with a unique warm microclimate, which is home to the mysterious indigenous Anai people. In an outrageous conspiracy, the world governments are keeping the existence of these people a secret, to avoid limitations on the division of land for natural resources. Scott is fascinated by the unique culture of the Anai, visiting them and learning from them as much as he can. In the meantime, the world becomes more and more unstable as global war is about to break out. 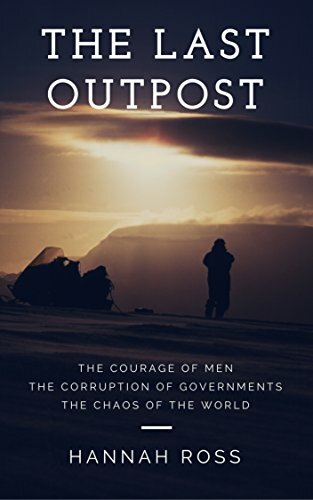 Just before darkness sets over Antarctica, warfare tears the world apart, and the research station finds itself completely isolated for the long and sunless winter. In the loneliness of the winter, Scott remains facing difficult questions all alone: who are the Anai, and how did they come to Antarctica? How much truth is there in their legends about giant ancient reptiles frozen in ice, waiting to come back to life? How is McMurdo going to hold on until the communications and supply lines are restored? And where are the limits one is not allowed to cross, not even in the name of survival?" I hope this novel finds its way to the hearts of those who love dystopia and environmental science fiction.